Celestial and lunar styles and patterns are the hottest trend right now, and you can find it across all mediums. Today I've rounded up a few of my favorite styles to get you in that out-of-this-world vibe. 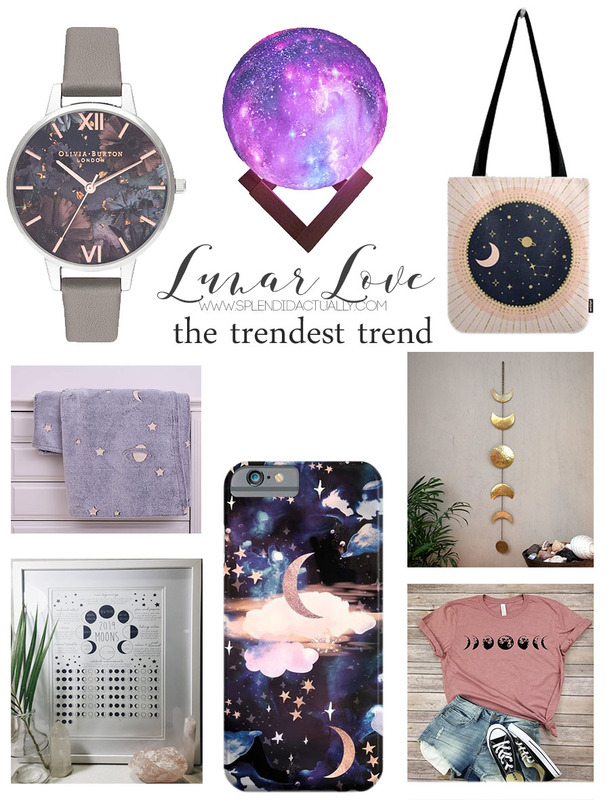 The dreamy pattern on this phone case, the moon phases print, and the stunning globe light will have you seeing stars and connecting to your moon sign. How do you feel about all this lunar love? Are the planets aligning perfectly in your world? Be sure to check out the links below!